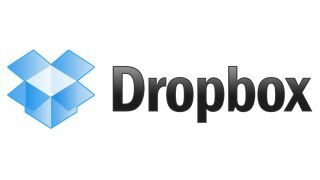 Dropbox has said this week that it is making progress in restoring service to users after the storage site went offline on Friday. As of Monday morning, the service said more than 99 per cent of users are able to access their files. Roughly 5 per cent of users were having trouble synching files from the desktop client when the service started having trouble, while 20 per cent had issues with Dropbox's mobile applications. "Within a few hours, well be rolling out a change that will further improve things for those users," according to a blog post. They dismissed the claims on Friday that they had been hacked and attributed the problems to "routine internal maintenance" despite Anonymous claiming the service issues were due to them. One of the main issues revolved around photos. While the service was down photo sharing was disabled and the 'photos' tab on the Dropbox website became greyed out. The option was still available through the desktop client, however. The company said: "We're continuing to make a lot of progress restoring full service to all users, and are doing so in careful steps". However, on the Dropbox support Twitter account, it has said that "not everything is working for everyone" at the moment. Features are being reintroduced gradually, with priorities geared towards basic accessibility for all users. Dropbox sent out an email to business users on Saturday night, reassuring them that files remain exactly where they left them, despite the lack of access. The storage system features a failsafe built into its file sharing system whereby a history of all deleted files is kept for 30 days for all accounts. The service uses Amazon S3 (Simple Storage Service) to hold encrypted version of people's files, according to their website.